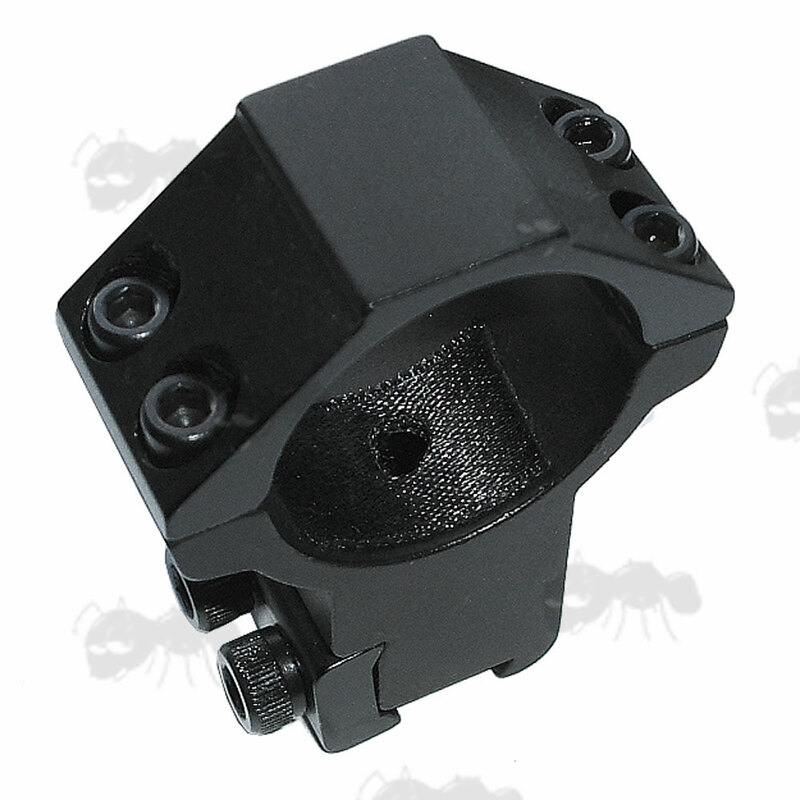 For scopes with up to 50mm diameter front end. Overall height 44mm, width 41mm. 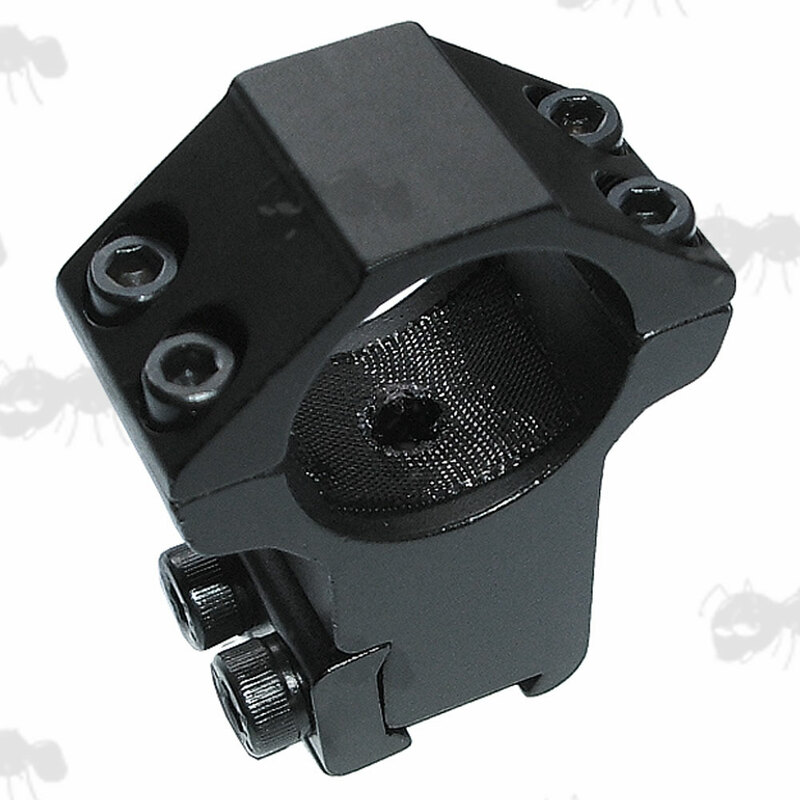 For scopes with up to 56mm diameter front end. Overall height 48mm, width 45mm. 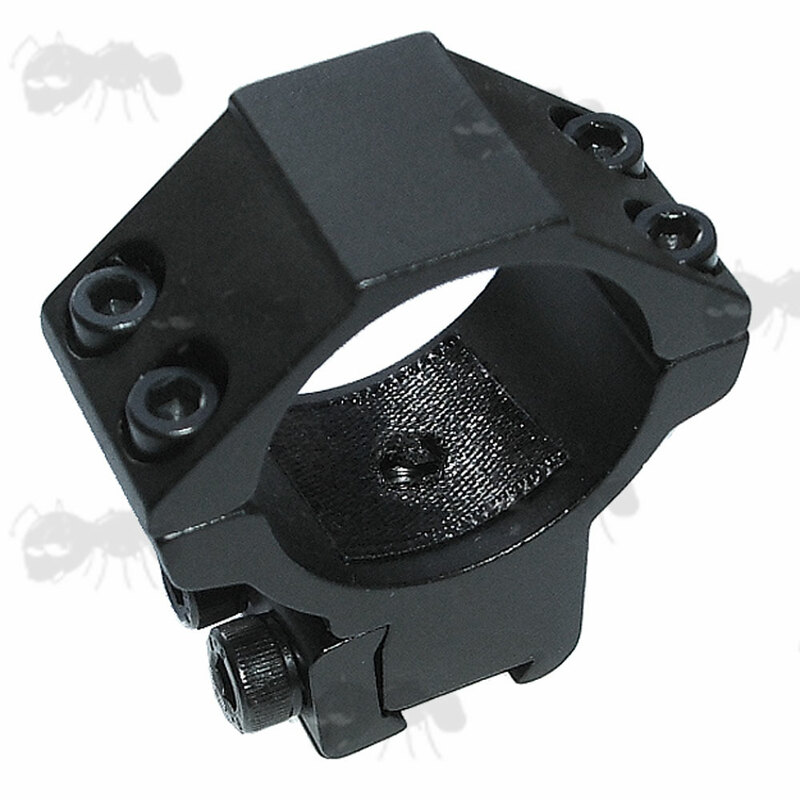 For scopes with up to 60mm diameter front end. Overall height 51mm, width 41mm. 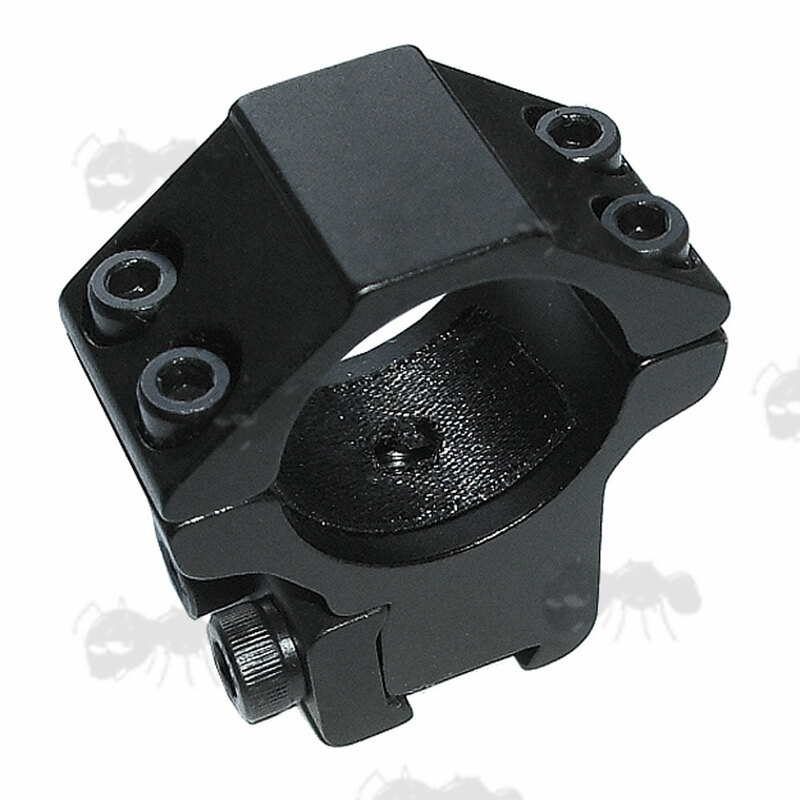 For scopes with up to 68mm diameter front end. Overall height 55mm, width 45mm. Next > High, Open Mounts. Removable recoil arrestor pin to prevent scope-creep. 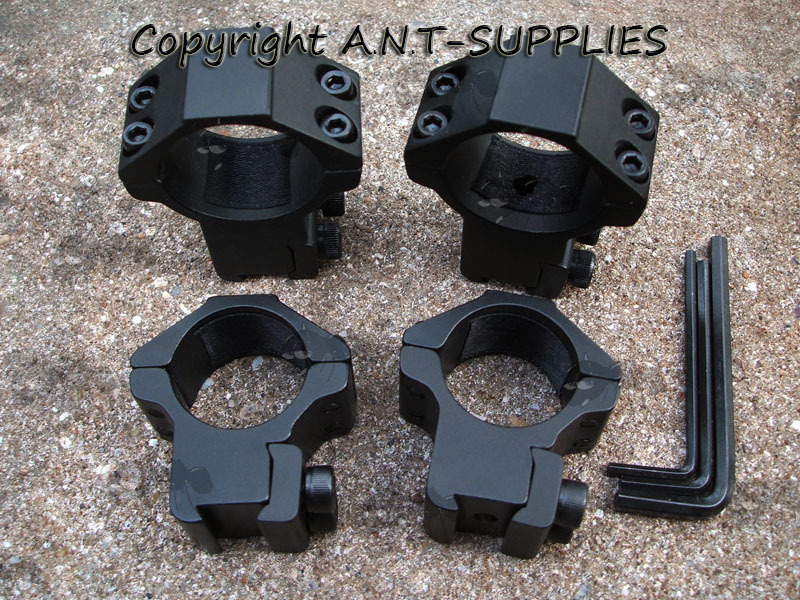 Two piece mounts, ideal for securing your scope or long tactical flashlight to your rifle. For 9.5mm - 11.5mm dovetail groves. Also available as ~ one piece mounts.